What Are Castor Oil Benefits & Uses? Castor oil is also known as Arandi Ka Tel (Hindi), Erandela Tela (Marathi), Aamudamu (Telugu), Amanakku Enney (Tamil), Rerira Tela (Bengali), and Avanakkenna (Malayalam). It’s a pale yellow liquid, which is extracted from the castor seeds. Particularly, it’s a type of anti-inflammatory & antioxidant oil that has been used for its medicinal and therapeutic benefits for centuries. Besides, castor oil is commonly used in cosmetics, textiles, soaps, medicines, massage oils as well as many other everyday products. 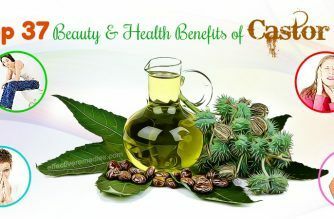 Let’s learn more about the various benefits of castor oil and how it can benefit your overall beauty & health on Effectiveremedies.com. What Are The Benefits Of Castor Oil & Its Uses? Castor oil is high in ricinoleic acid content and contains anti-inflammatory and antibacterial qualities. Also, it is loaded with minerals, proteins, vitamin E as well as other nutrients. Thanks to its many great health benefits, castor oil has been used externally and internally for thousands of years. 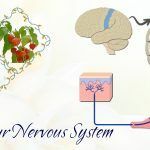 Castor oil can deal with the following major ailments and illness such as multiple sclerosis, Parkinson’s disease, cerebral palsy, yeast infections, constipation, gastrointestinal problems, menstrual disorders, hair loss, acne, inflammation, skin abrasions, etc. According to a 2001 study, castor oil acts as a potent cathartic so that it promotes defecation and enhances the complete release of substances from the GI tract . Castor oil contains the laxative properties that provide instant relief from constipation as well as other digestive disorders. It stimulates small & large intestines, thereby making your bowel movements. You can view at the Constipation Remedy No. 4. The ringworm is a common trouble among all age groups. Its undecylenic acid aids in ringworm treatment. For this remedy, you mix castor oil (2 teaspoons) with coconut oil (4 teaspoons). Then, apply this mixture on your affected area and cover it using a cotton cloth. Then, keep this application on for all night. Follow this remedy twice to thrice weekly to remove this condition. Castor oil can deal with boils on your face skin and body because it acts as an antiseptic. To obtain the detailed recipe, you can click at the Boils Remedy No. 4. A 2009 study indicated that castor oil can be used effectively to treat primary knee osteoarthritis . Besides, this oil can relieve nerve inflammations, arthritic joints, and sore muscles. For this treatment, take a cotton fabric piece and fold it into squares. Later dip it in castor oil (3-4 tablespoons) and squeeze the cotton fabric piece to remove the excess oil. Then, keep that piece on your affected area and use a plastic wrap to cover the area. Take a heating pad and place it on this. Let it stay for about 60 minutes. Try following this method twice to thrice weekly. Castor oil has been used by the ophthalmologist for centuries for treating pink eye. Besides, castor oil can also help to increase the vision power. For more information, you click at the Pink Eye Remedy No. 10. Castor oil was used in ancient times as a natural remedy for helping pregnant women induce labor. According to a 2009 study, castor oil is an effectiveness and safety treatment to induce labor without leaving any side effect . Castor oil contains antioxidants, which help to fight free radicals and protect our cells. Additionally, this oil increases the amount of T-11 cells, which enhance the lymphatic system. For this purpose, you add castor oil (1 teaspoon) in lemon juice (3-4 tablespoons). Then, drink this mixture every day for one week or so. Follow this remedy regularly for promoting a healthy immune system. 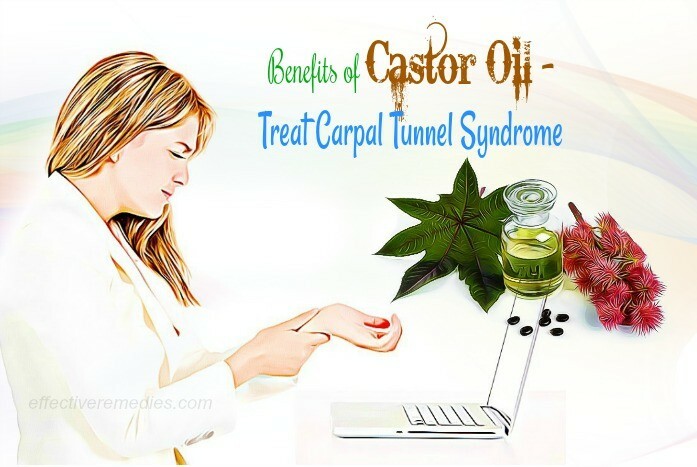 Castor oil is able to treat carpal tunnel syndrome  in wrist because it consists of overpowering healing qualities. If you want to know the detailed recipe, you can view at the Carpal Tunnel Syndrome Remedy No. 28. Castor oil can heal staph infection owing to its anti-inflammatory and anti-microbial agents. This oil can also dry out the pus and relieve pain. To get the step by step recipe, you view at the Staph Infection Remedy No. 16. Castor oil is one of the best known natural remedies for dry eyes. Castor oil eye-drops are safe and effective in treating meibomian gland dysfunction, which is one of the reasons for dry eyes, according to a study published in the Ophthalmology in 2002. For the detailed recipe, you click at the Dry Eyes Remedy No. 16. Castor oil is a great remedy when it comes to relieving backache. Using castor oil to massage on your back is an effective and natural way to alleviate any pain and stiffness. For this remedy, you can apply some castor oil on your affected region and cover the area using a clean & soft cloth. Take a hot water bag and place it on your back for about 60 minutes. Repeat the process for about 3 subsequent days. Castor oil is able to treat and remove genital warts. According to Live Strong, Herbs2000 shows that castor oil may be mixed with a small quantity of baking soda and topically applied to the affected area to eliminate warts . You just need to mix castor oil (1 tablespoon) with camphor powder (1 teaspoon). Gently rub this resultant mixture for around five minutes on your swollen gums. Follow this remedy twice daily to deal with this condition. For this treatment, get a cotton ball and dip it in 1 teaspoon of the castor oil. Gently dab it on your tooth. It’s suggested to do this activity two times daily to alleviate the tooth pain. 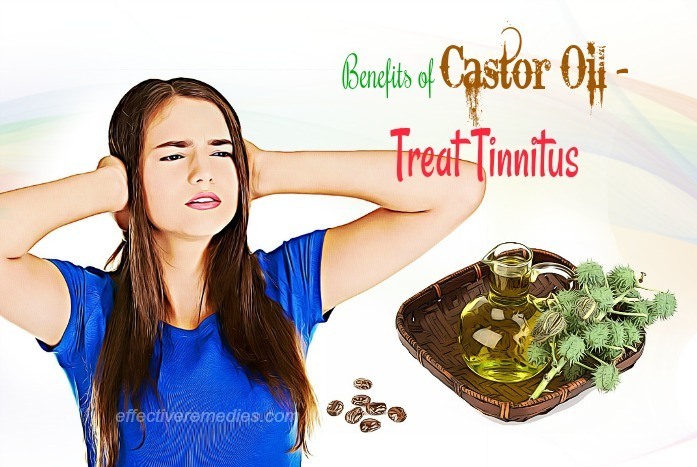 You simply pour castor oil (5 to 8 drops) into the ear and close your ear using a cotton ball. After around 60 minutes, remove it. Try this simple remedy every day for at least four weeks. Castor oil has the power to heal skin inflammation caused by sunburns, acne, and dry skin. A 2002 study found that the ricinoleic acid in castor oil causes significant anti-inflammatory effects and acts as an anti-inflammatory property which is beneficial for the peripheral application . Simply, dip a cotton ball in some castor oil and apply directly to your affected area. After about 60 minutes, wash the application off with water. Castor oil can kill off virus and bacteria responsible for warts. You can view at the Warts Remedy No. 22 to get the detailed instruction. According to an article posted on Live Strong, Organic Facts indicates that castor oil can soften dry skin and remove age spots . 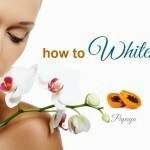 This oil also boosts the production of collagen and elastin, which aid in delaying the appearance of aging signs and keeping your skin looking youthful. You can click at the Dry Skin Remedy No. 12 for getting the step by step recipe. Castor oil has the capacity to inhibit the formation of stretch marks. It acts as humectants, thereby retaining moisture of the skin and maintaining elasticity. 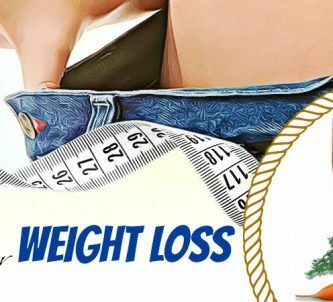 If you want to attain the step by step recipe, you click at the Stretch Marks Remedy No. 10. St. Botanica shows that castor oil is very useful for preventing sagging skin because it serves as a lubricant, according to Live Strong . Basically, castor oil functions as a great emollient and gets absorbed fast by the skin. You can click at the Belly Skin Remedy No. 1 for further information. For this remedy, you just need to prepare some drops of the castor oil. To attain the detailed recipe, you click at the Psoriasis Remedy No. 24. Castor oil can moisture the skin, thus treating flaky skin on the face. For the detailed recipe, you can view at the Flaky Skin Tip No. 7. Because it’s an excellent moisturizer, castor oil aids in treating dry, rough skin. Apart from that, it’s also beneficial for treating corns and dry and cracked heels. For this remedy, you soak your feet for ten minutes in warm water and scrub the area with a pumice stone to remove thick and hardened skin. Then, rinse off the feet and pat dry. After that, immerse a cotton ball in some castor oil and now place it over your corn or callus. Use a piece of tape to secure the cotton ball and keep it for a few hours. Follow daily for quick results. Being rich in vitamins and minerals, castor oil helps to boost nail growth and make them become strong. In addition, the presence of antifungal agents can lower the chance of fungal infection. You can tale 1 drop of pure castor oil and put it on each nail. Gently massage it into the nails for a minute and follow this method every day prior to going to bed. Alternatively, mix equal parts of the castor oil and olive oil and later use this mixture as a night cream for the nails and hands. 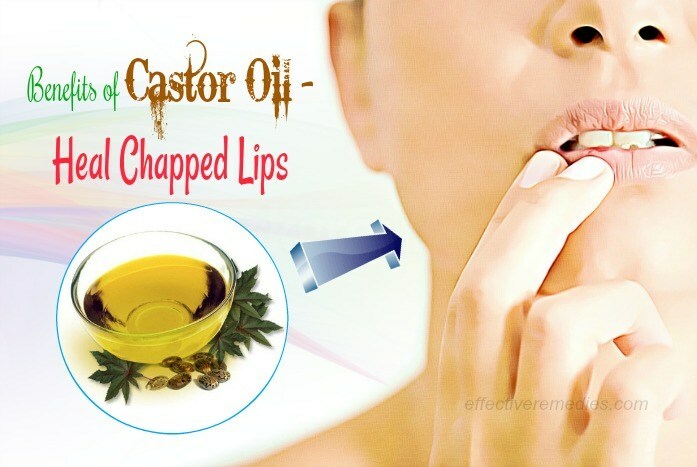 Castor oil contains the moisturizing property, which keeps the lips nourished and moisturized. 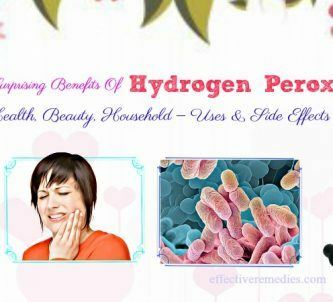 It can assist in treating and preventing chapped lips. Besides, it also helps to keep the lips pink and soft. For this treatment, you combine 1 tsp. each of glycerin and castor oil and several drops of fresh lemon juice to make a lip mask. Combine them well and start applying it on the lips before your bedtime. The following morning, dip a cotton ball in lukewarm water and wipe the mask off with that cotton ball. Try this remedy every day. You can also mix castor oil & almond oil in equal amounts. Massage it into the lips several times daily. Being loaded with fatty acids such as omega-3 fatty acids, castor oil hydrates the skin and stimulates the growth of healthy tissue, thereby giving you a supple and blemish-free skin. Besides, this oil can also remove spots and marks. Simply, take a cotton pad and dab some castor oil in the pad. Then, apply it on your affected skin area. According to a study, castor oil is rich in antioxidants, which can give the skin protection from free radical damage . Additionally, it helps to absorb all the dirt and impurities from the skin, thereby leaving it fresh and clean. You click at the Dark Circles Remedy No. 22. Castor oil is helpful for treating sunburns owing to its soothing and anti-inflammatory agents.  For this remedy, in a bowl, combine the contents of a vitamin E capsule with five drops of the castor oil. Start applying this combination on your affected skin prior to your bedtime. Rinse the area off using cool water the next morning. Use this remedy daily for best results. Another option is to mix equal parts of the castor oil and coconut oil and apply on your problem area. Repeat this method several times every day for a few weeks. Castor oil can aid in soothing the irritated sunburn and lightening the dark color of the skin moles. You combine baking soda (1 tablespoon) and castor oil (2 tablespoons) in a bowl. Generously apply it over the moles and use a cotton gauge to cover it. Keep it for a few hours or overnight. Then, untie the gauge and use water to wash off the area. Repeat this remedy one time daily till the mole completely disappears. Castor oil can absorb all the moisture from your skin tags and make it shrink. You take a small quantity of the castor oil and apply it on the skin tag with a q-tip of a toothpick. Let it dry totally and repeat the procedure a few times daily. Firstly, clean your affected area using mild soap and later steam your face for several minutes in order to open the skin pores. Then, apply some castor oil all over your affected skin before hitting the bed and gently massage for a couple of minutes. Leave it on for all night and the next morning wash off. This process can be repeated two times daily. Castor oil can restore moisture of the hair. It’s a great option for deep conditioning. You click at the Split Ends Remedy No. 15 to attain the detailed recipe. Castor oil can boost hair growth by promoting circulation of blood to the follicles. 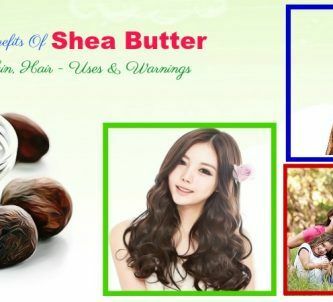 Besides, it can also control hair breakage and condition and moisturize the hair. You view at the Hair Growth Remedy No. 4 to get the step by step direction. Castor oil is beneficial for treating dry scalp. To know more the detailed recipe, you can click at the Dry Scalp Remedy No. 35. Thanks to its humectant properties, castor oil aids in locking in the moisture of the hair. As a result, this makes the hair softer and smoother. For this method, take 1 tsp of the castor oil and add it to your leave-in conditioner. Then, shake well and use it after you shampoo the hair. Castor oil can destroy bacteria causing dandruff. 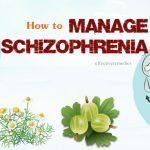 Particularly, the ricin of this oil contains germicidal and fungicidal agents, which help to protect the scalp from fungal and microbial infections causing dandruff and scalp infections such as seborrheic dermatitis. Simply, mix 1 tablespoon each of the castor oil and olive oil at first and later add 2-3 tablespoons of lemon juice to this. After that, massage this mask on the hair roots and finally, use a mild shampoo to rinse the mask off after 30 minutes. This hair mask should be used once to twice weekly. You need to wash your hair at first and dry it with a towel. Then, rub about 1 tablespoon of the castor oil through your hair with the help of your fingers. Follow this process daily to promote your natural hair color. What Are The Side Effects Of Using Castor Oil? If used in moderation, castor oil is likely safe. 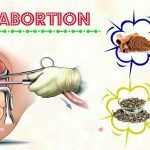 However, it’s not recommended for people with an acute inflammatory intestinal disease, intestinal blockage, appendicitis, or abdominal pain, and pregnant and lactating women. Besides, before consuming castor oil, you should consult a doctor or naturopathic professional. Overconsumption of the castor oil may lead to nausea, vomiting, diarrhea, abdominal pain or cramping. 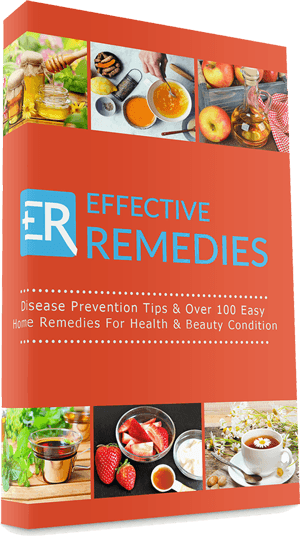 Where & How to Buy Castor Oil? You can buy castor oil at any health food store. Remember to look for cold-processed or cold-pressed oil only and before taking it consult a naturopathic doctor. 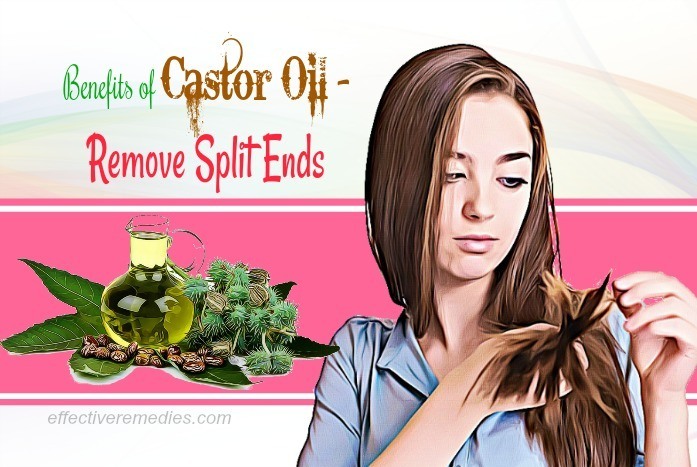 Choose castor oil with light or pale yellow color. Hope you liked this post on stunning castor oil benefits. You can go to our main Superfoods page to read more other such posts. Do you know other benefits of castor oil & its uses? Share them with us by leaving a comment in the box below.